Pediatric Dentistry of Ft. Myers, Dr. Tim Verwest, DMD gave away over 15,000 free toothbrushes during dental presentations in 2015. Children in Lee, Collier, and Charlotte County were the primary recipients of the toothbrushes. Over the last two years Dr. Verwest has given away over 35,000 toothbrushes. “We’re really making a difference”. The way our community outreach has been received by the schools has been fantastic,” said Dr. Tim Verwest, DMD of Pediatric Dentistry of Ft. Myers. 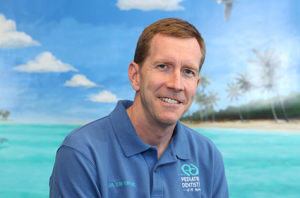 Pediatric Dentistry of Ft Myers, Dr. Tim Verwest, DMD, continues to provide pediatric dental care to children for the last 26 years. Areas of service include comprehensive dental exams, cleanings, composite fillings, dental hygiene education, extractions, fluoride treatments, sealants, sedation dentistry, space maintainers, x-rays and tooth nerve treatment. For more information on dental presentations, visit www.DrVerwest.com or call (239) 482-2722.